at High Desert Yoga in Albuquerque. 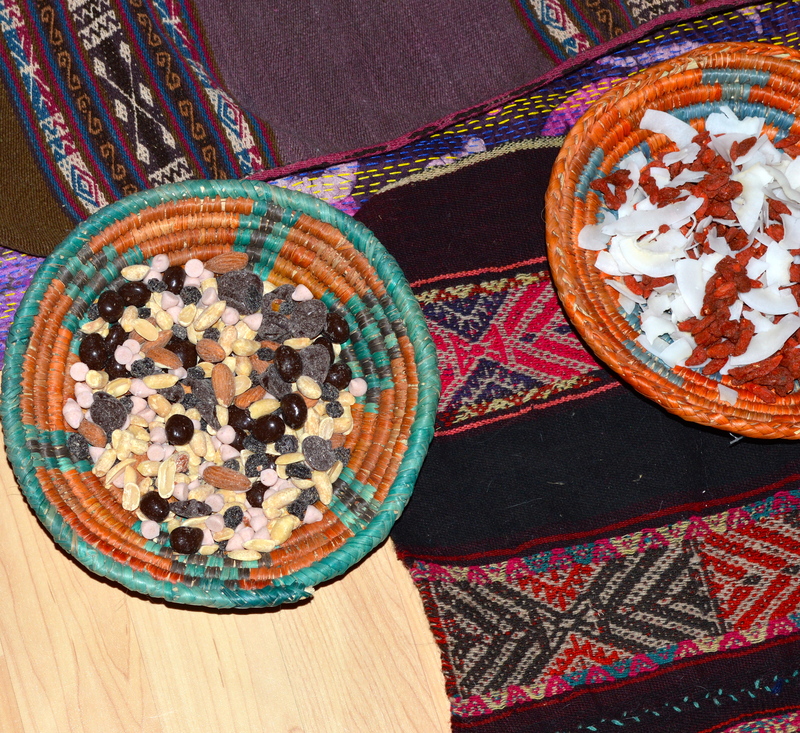 Preparing the altar for the despacho is much like preparing a holdiay feast. 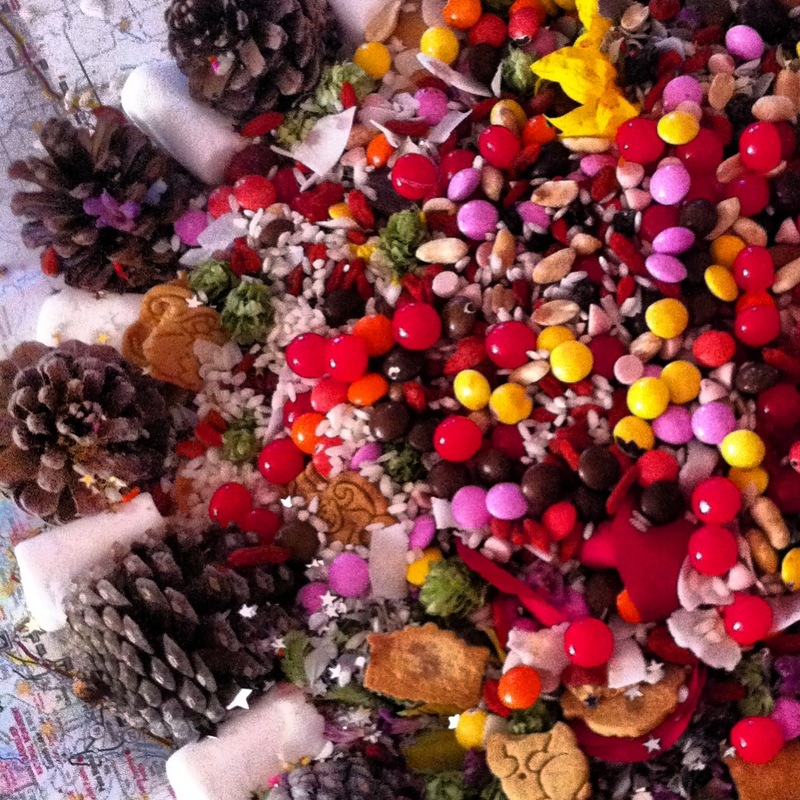 We lay out our best cloths, offer our most delicious treats and pour love into it all. 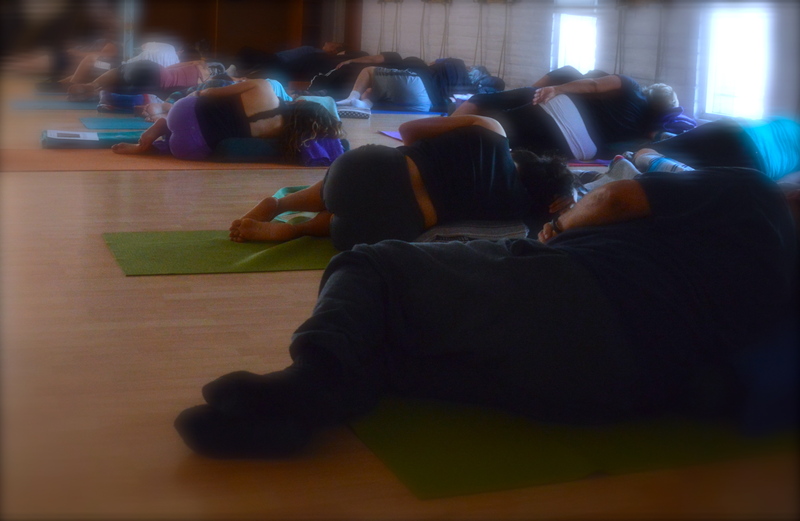 with deep and restorative yoga led by the soulful Sarah Davidson. Sarah assisting with props and straps to get grounded. I love the wild shadows on the wall. 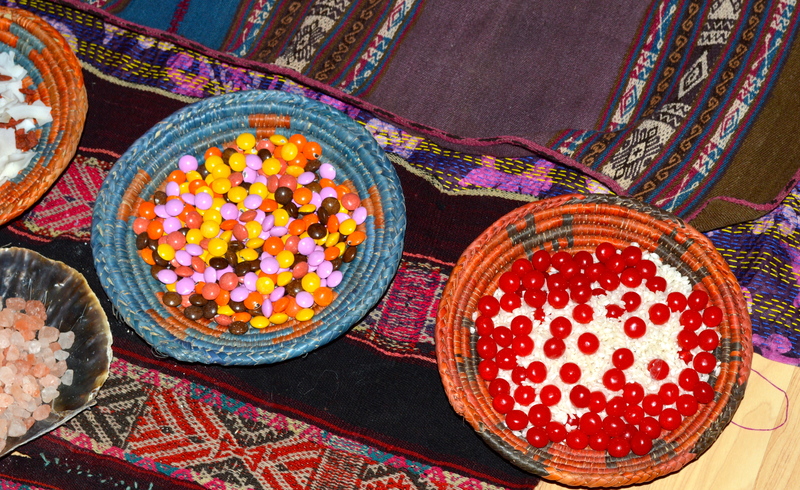 Offerings of sweets and treats and lots of color. 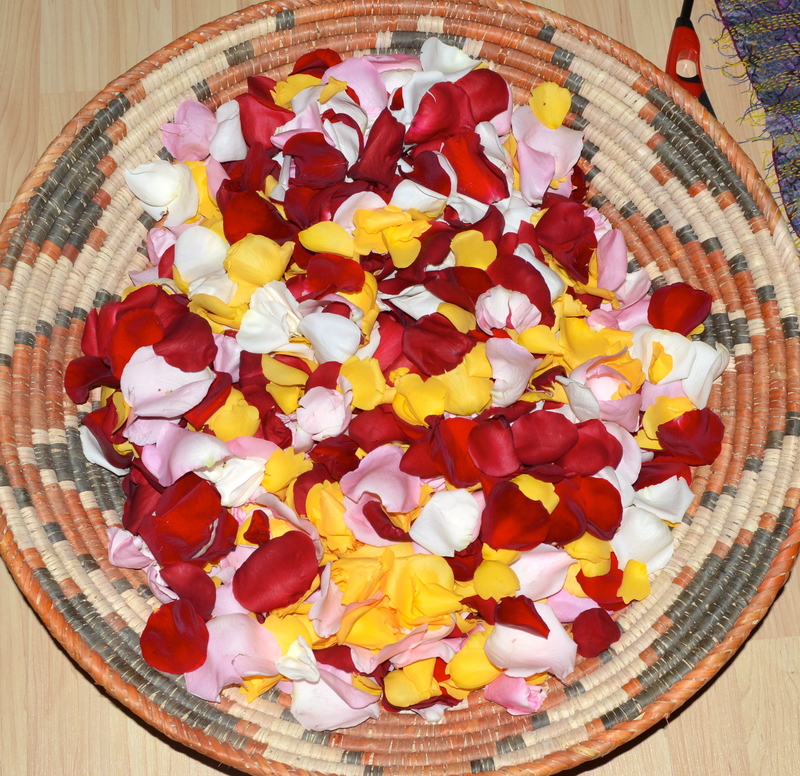 Rose petals for our flower blessing to close our ceremony. and yellow for intuition so our hearts and minds may be one. while immersed in the sweet-sounding tones of the Koshi chimes. For those who follow this blog, or my page on Facebook, you may or may not know A Structure for Spirit is the name of my book. It was written as a guidebook to create a daily spiritual practice. Its first incarnation was as A Success Journal: Daily Practices to Manifest Your Intentions. It was self-published in 2005 along with an audio of guided meditations. To create a book out of thin air, with nothing more than the ideas in your head, takes quite a bit of fire. And that fire kept me going for a good year after it was written, promoting it through family (oh what I have put them through in my life! ), friends and clients. I ran out of steam as the energy invested seemed to show less and less payoff. I abandoned the book to a closet shelf where it began collecting dust for a number of years. In 2010 I was working with a mentor who asked me, “How do you intend to bring your wisdom to the world?” Well I never gave it much thought until then but my book in the closet came to mind. After a series of synchronistic events it seemed time to pull the book down from the shelf. I finally became a student of my own book. My father had recently died. My beloved had left me leaving my heart shattered to pieces. A period of isolating loneliness engulfed me. Balboa Press became the new self publishing agaency. By this time Facebook was invented. I started a page. Nearly 9000 likes. The fire returned. Keeping up with writing blogs and posting on Facebook is a full-time job, especially since I have never considered myself to be a writer. My entire life has been in healthcare and healing. My full-time job demands much of my time so for the second time I felt myself abandon the book as the dividends diminished. 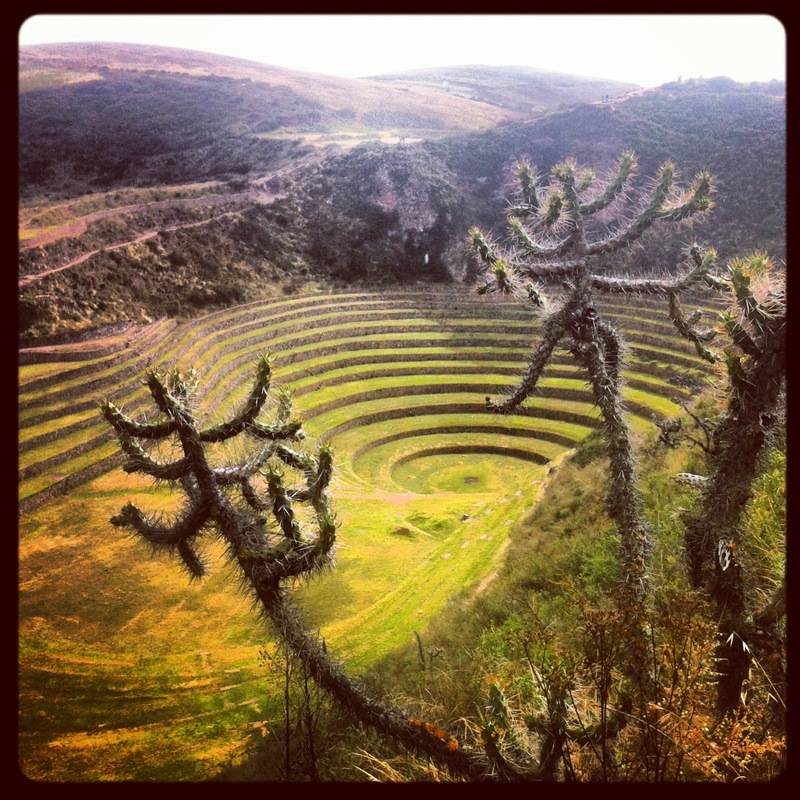 On May 10th I arrived in Peru for the fourth time. I had a coca leaf reading my first day there. Shamans use coca leaves for divination the way one might use tarot cards or tea leaves. The coca leaves are prayed into and then thrown onto a sacred cloth. This message seemed to reverberate louder than ever during our last journey to Peru. Share. Teach. Remove all doubt. Go forth with confidence. I do not know how and I do not know when but the leaves have been thrown and it is time to grow bigger. I have been assured that the Apus will help me. With this entry I make myself accountable. A request to Spirit for guidance. To remember it is not about “me”. There is nothing that is “mine”. This remembering helps me to get out of my own way. 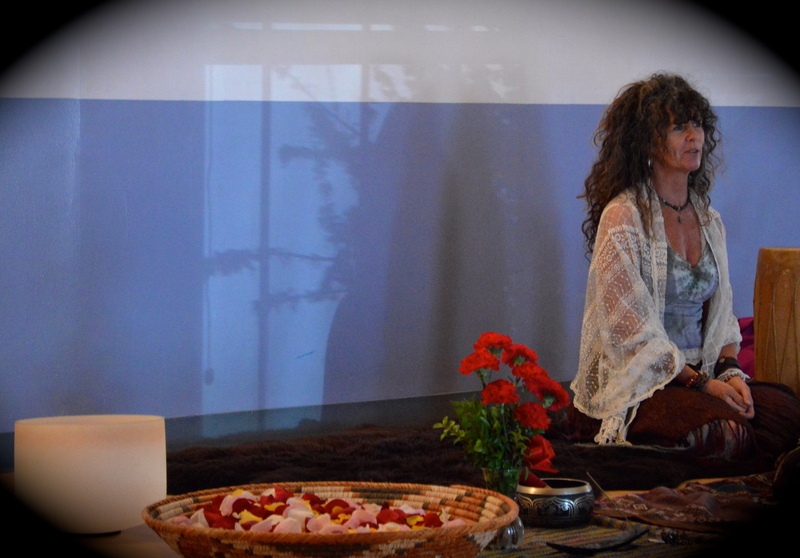 Remove the self-inflicted obstacles created by doubt as another sacred birth is about to begin.